The Girl in the Spider's Web's version of Lisbeth Salander focuses on the vengeance, and the trailer is action packed. As evidenced from the books and past movies, she is an incredible computer hacker and is seen in the first trailer pulling off a Batman-like operation where she saves a battered wife. Claire Foy's Salander hangs a man by his feet after he beats his wife and then transfers all of his money into a private account for the wife. She doesn't kill him, but throws a stern warning in the way of some torture. 2011's The Girl with the Dragon Tattoo was the first film to be made in English, and was a remake of the original, which came out in 2009. The movie was directed by David Fincher and was not a huge success, especially when compared to how big the original trilogy of books were when they came out. 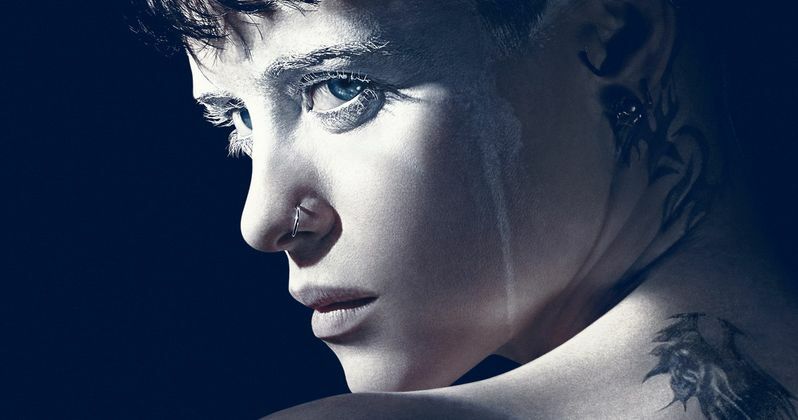 The Girl with the Dragon Tattoo earned over $232 million worldwide, which is why The Girl in the Spider's Web has been delayed for as long as it has. The Girl in the Spider's Web is a different kind of story for Lisbeth Salander thanks to another author. Original author, Stieg Larsson, passed away in 2004 and David Lagercrantz took over for writing the book series. Instead of choosing to remake The Girl Who Played with Fire, which is the next book in the Millennium Trilogy, the franchise is jumping ahead to the 4th book, ignoring the other two in the series. It's an interesting idea and is surely why we're seeing such a different version of Lisbeth Salander this time around. She has a lot more under her belt that was not shown on the North American theaters. The Girl in the Spider's Web hits theaters on October 19th and is directed by Fede Alvarez (Don't Breathe) from a screenplay adaptation by Steven Knight, Alvarez, and Jay Basu. In addition to Claire Foy, the film also stars Sverrir Gudnason as Mikael Blomkvist, Lakeith Stanfield as Ed Needham, and Stephen Merchant as Frans Balder. Additional cast members include Sylvia Hoeks, Claes Bang, Christopher Convery, Synnove Macody Lund, and Vicky Krieps. There are already plans to make the next book in the series, "The Girl Who Takes an Eye for an Eye."